With the 2016-17 Trade Deadline here and gone, teams for the most part stayed pat despite numerous rumors across the nba. Paul George stayed in Indiana, despite shivering rumors of him going to Boston so Danny Ainge can unload on all of the picks he has. But that never happened, and if George is going to go anywhere it’s to LA in the off-season, that is if the Pacers are not contenders for the title. Which they probably won’t be, unless teams like Washington, Boston or Toronto start to slide real badly. Jimmy Butler stayed put in Chicago, even after everyone thought he would be moved and the Bulls would clear house. Little happened on the actual Deadline day, but teams like Toronto, Dallas, and Houston got some good additions to either their future or current teams. The Raptors added a much-needed wing defender that can shoot in PJ Tucker, the Mavs got a young and promising center in Nerlens Noel, and the Rockets added another three-point shooter in Lou Williams, who scored 27 points in his debut. So some of the big moves or at least two of them, happened before the deadline. 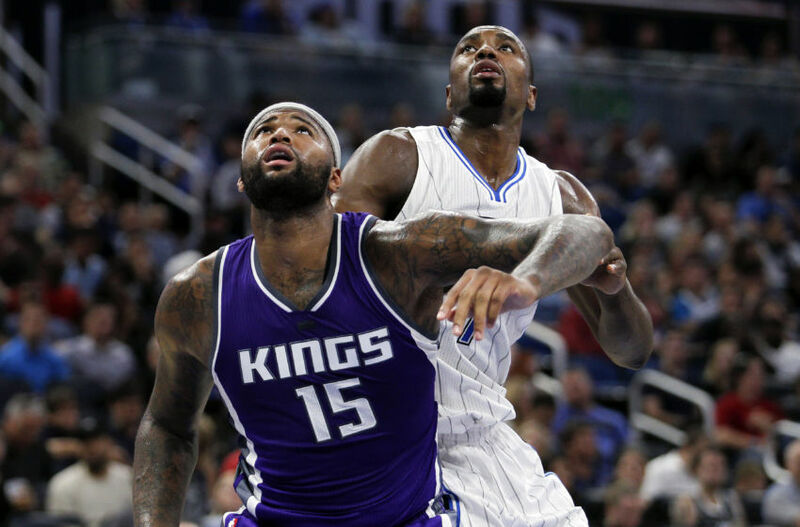 Demarcus Cousins was venomously dealt to New Orleans, for Buddy Heild, Tyreke Evans, and bunch of nothings in what might be the worst trade since the Vince Carter trade. It was a trade of dishonesty and idiocy, something we might not see again for a long time. The Raptors finally got their much needed starting 4 in Serge Ibaka, while giving up very little in Terrence Ross and a very low first round pick ( it belonged to the Clippers) to Orlando. The Pelicans may have gotten whooped last night against the much better Rockets, but their new get Demarcus Cousins was their best player last night. He scored his typical 27 points on 11-19 shooting, grabbed 14 boards and was able to hit a three. His mid-range game was on point last night and if he can keep that going, a threat of Anthony Davis and Boogie that can hit shots from almost anywhere while also being a problem for defense inside, they could be a dangerous duo that could lead the Pelicans to a playoff spot, alongside Jrue Holiday, who if he can produce at a rate that we all know he could, can be a good third go to guy for New Orleans. The Toronto Raptors needed a starting 4 man who can defend and stretch the floor so it could take some pressure off of Kyle or Demar. Patterson was a good option but injuries and a choice by Casey to have Patterson off the bench, led to the Raptors flip flopping over Lucas Nogueira and Pascal Siakim which gave them some inconsistent play. There were some talks about Paul Milsap joining the Dinos, but it never led to anything. So Masai and co looked to the Magic for front-court help, and the Magic are trying to ship out players for picks so it made sense that they would lock in on Serge Ibaka. It gives the Raptors a third option on offense, so Kyle and Demar don’t have to be the main focus as much as they used to be, which would lead to easier shots and opportunities for both. Serge has had his troubles being a third man in OKC, but I think being a lead guy in Orlando, and a chance at a deep playoff run once again will have Serge be a team guy like he was in Orlando. The Raptors want another shot at the Cavs in the Eastern Conference Finals, and an addition like this has them one step closer. The Trade Deadline didn’t give us any huge news, but solid adds by teams and two blockbuster moves before gave us a new landscap on the league. The Pelicans look like they want that finale 8 spot for a meeting against Golden State, while giving up basically nothing. The Toronto Raptors got their dude in Serge Ibaka, and a proven wing defender in PJ Tucker. They also gave up little to nothing, while still keeping a first round pick. They should leap past Boston and Washington to another ECF matchup against the Cavs, it will just be about the impact of Serge and Tucker, and hopefully they all gel together. Previous Could Vegas look to the Toronto Maple Leafs for their first head coach?